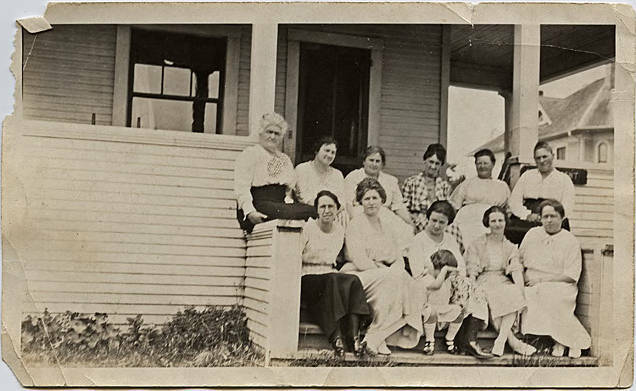 Black and white photograph of a number of women sitting on the front porch steps of a house. Some of the women wear longer skirts with long-sleeved blouses and have their hair up in buns. Several of the younger women wear loose tops over mid-calf length skirts and have short, curly hair parted in the middle. A young girl sits in the middle of the front row; she has short hair and Mary-Jane styled shoes and is hiding her face from the camera.